A return to form for captain, Emmerson Boyce. Photo courtesy of the Huddersfield Examiner. Latics claimed their first away point of the season, but were unable to convert their superior possession into goals. Many Latics fans will consider this an opportunity lost, that Huddersfield were there for the taking, with three points going begging. However, some will point to last season when a Huddersfield side no better than the current one, beat Rosler’s Latics by a single goal. A point away from home to any team in the Championship is not such a bad result. Uwe Rosler shocked us all with his team selection, starting with the same eleven as at Blackburn. Huddersfield were lively in the first ten minutes, Andrew Taylor blocking Danny Ward’s cross shot on the goal line and Scott Carson making a good save from the same player. But Latics then started to control possession, albeit without much penetration. Don Cowie and William Kvist were controlling the centre of midfield and the defence was looking sharp. Andy Delort had a rasping shot from distance saved well by Smithies. Then Callum McManaman collected a fine through ball from Cowie and rounded Smithies but a couple of defenders got back to block his shot. On the half hour mark McManaman went down for what looked like a penalty, but was instead rewarded with a yellow card from the referee for simulation. Emyr Huws was looking lively in the more advanced midfield role and threatened the home team’s goal twice in the first couple of minutes of the second half. However, as one might have predicted Latics dropped back and Huddersfield started to show more attacking threat, mainly through half time substitute Sean Scannell. However, the back three of Emmerson Boyce, Ivan Ramis and Rob Kiernan were on their toes and managed to keep the home team at bay. After 63 minutes Rosler took off Latics’ main goal threat McManaman and put on James McClean who had not played competitive football since May. Delort had a powerful drive go wide, but other than that Latics rarely looked dangerous. Their possession football just did not have any cutting edge and too often ended up in coming back for the defence to put a long ball forward. James Tavernier came on for Taylor after 72 minutes, with James Perch moving to the left. Tavernier added some energy to the right of the attack and put over some quality crosses. Oriel Riera came on for Delort after 76 minutes and a few minutes later he came close with a volley from a Tavernier cross. Huddersfield looked threatening in the closing minutes and Jonathan Stead almost squeezed a late winner past Carson. In the end a draw was probably a fair result in a scrappy game. Huddersfield had achieved their first clean sheet in 20 games. The stats show that Latics largely controlled the game. They had 61% of the possession, with 15 shots (4 on target), compared with Huddersfield’s 9 shots (3 on target). The back three of Boyce, Ramis and Kiernan were excellent throughout. They were provided solid protection by Cowie and Kvist. Despite the knock he received against Blackburn, Huws was lively throughout. A pity his set pieces continue to be disappointing. Although there was a lull in early stages of the second half Latics’ legs were much more willing this time around. They were able to keep going for the 90 minutes, if not playing a full pressing game of high intensity. It was a step forward. Andy Delort worked hard up front and had four shots on goal, one forcing a fine save from Smithies. Delort has the style of a typical old fashioned bustling centre forward, with a powerful club of a right foot. Once he gets his first goal he will surely get plenty more. Riera came on for the last 15 minutes and went close with a volley. He is a more subtle kind of player and is continuing to adjust to the hurly burly of the Championship. McManaman looked dangerous until he was taken off early in the second half. Huddersfield clearly considered him a threat and he was heavily marked. The introduction of Tavernier for the last 20 minutes gave Latics more cutting edge on the right hand side. He is able to consistently deliver high quality crosses, something that his team mates are rarely able to do. In terms of his crosses and set piece deliveries Tavernier is reminiscent of Ryan Taylor. However, if Tavernier is to claim a regular place in the team he will have to work on the defensive side of his game. In an old 4-4-2 system he could have been effective in a right midfield position. Apart from the McManaman incident, Latics had two other penalty claims, which were for hand ball, either of which could have been given. Such matters change the course of a match and Latics can consider themselves unlucky in that respect. Once again the lone centre forward was looking very isolated. The midfield players were just not giving enough support. James McArthur is being desperately missed in the build up from the back. Neither Cowie nor Kvist can be faulted for their effort and their defensive cover, but far too often they were passing the ball sideways or backwards. There is room for one such player, but having the two there led to Latics being too predictable. Adam Forshaw could provide the key, but his ten minutes against Blackburn was his first competitive football since May. There was a development squad game against Preston on Monday, but the Liverpudlian did not appear, presumably because Rosler wanted him in the squad at Huddersfield. With no more development squad matches coming up for a couple of weeks, will Rosler risk him as a starter in the next league match against Ipswich? At times Latics seem confused about their style of play. The possession football in this match was reminiscent of the Martinez days, but many bouts of possession ended in a final pass going back to the defence for a hoof forward. One of the main criticisms of Owen Coyle’s reign was that there was no set style of play, too often resulting in giving the ball away through aimless long passes. It was particularly noticeable after the consistency – and maybe rigidity – of Martinez’s teams. Rosler’s current team seems to alternate between the two approaches. We are yet to see the high pressing, high tempo approach with rapid counterattacks that the German espouses. Scott Carson: 7 – confident in his handling. Distribution remains an issue. The high diagonal balls to the wings don’t seem to work. James Perch: 6.5 – solid defensively. Emmerson Boyce: 8 – back to his best. Made some key interventions. Ivan Ramis: 8 – a class act. Rob Kiernan: 8 – a much better performance than against Blackburn. More aggressive, with good use of the ball. Andrew Taylor: 6.5 – worked hard up and down his flank. Substituted after 72 minutes. William Kvist: 7 – provided good defensive cover and rarely wasted the ball. Don Cowie: 6 – cannot be faulted for effort and shielded his defence. The final pass was too often disappointing. Emyr Huws: 7 – growing into a fine player. Full of industry, with a great left foot. Needs to work on his set pieces. Callum McManaman: 7 – heavily marked, but remained a threat. Substituted after 63 minutes. Andy Delort: 7 – combative and brave. Managed to get in some powerful shots although heavily marked. Substituted after 76 minutes. James McClean: – energetic as always, but looked rusty. James Tavernier: – added energy and threat to the opposition’s defence. Oriel Riera: – being left out of the starting lineup in the last two games is not going to help his confidence. The best is yet to come. 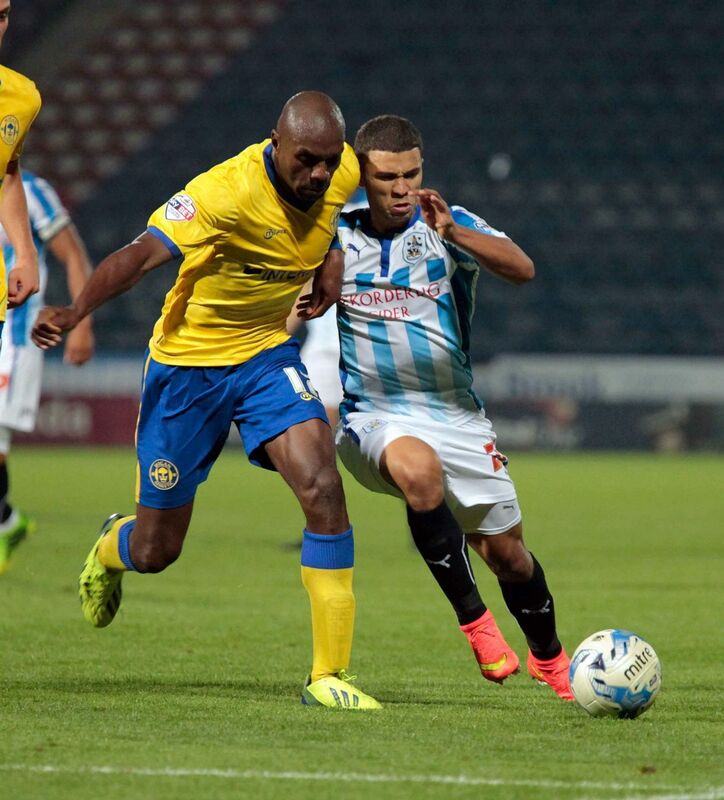 ← Latics ready for a good second half at Huddersfield?